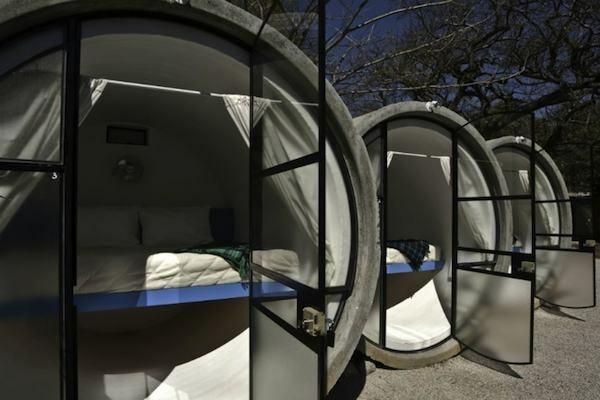 If you’ve ever planned a vacation and thought “man, I really wish I could stay in a luxurious recycled concrete pipe that maintains perfect hotel-stay temperatures and has a queen-sized bed in it for comfort,” then you’ll probably find this Mexico hotel to be pretty darn tubular. 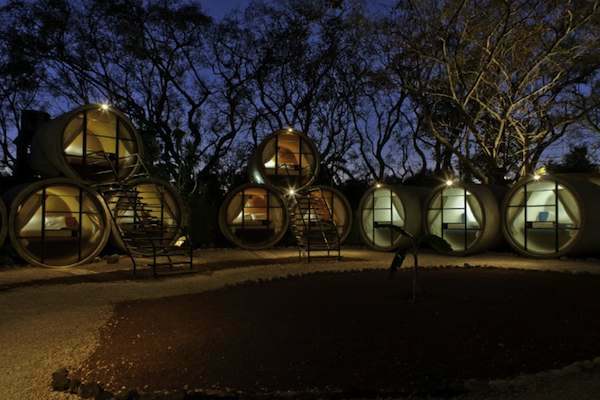 Located in Tepoztlan, Morelos, Mexico, the TubeHotel is crafted by the use of recycled concrete pipe, with actual hotel rooms designed inside the pipes. The rooms accommodate two people, with one queen-sized bed and panoramic views of the Sierra del Tepozteco. Each tube is 2.44 meters wide by 3.5 meters long, with space underneath the bed for storage. Since the tubes aren’t large enough for a bathroom, there are two bath houses for use by guests with private showers and toilets. In another cost-saving and environmental approach, guests are urged to bring their own shampoo, soap, robes and flip-flops. The pipes have been placed on top of one another, giving visitors a variety of views and places to explore. Doors and windows have been customized into the tubes, with curtains for privacy from fellow tubemates. What’s next for the hotel? A restaurant and bar for a one-of-a-kind dining experience. At around 500 pesos per night year-round, it’s an affordable and eco-friendly experience in a location that’s ideal for a relaxing vacation. The more eco-friendly and creative a hotel manages to make itself, the more likely I am to stay there. This also has me wondering what other materials could be used to construct a hotel. Sewers for a Ninja Turtle-inspired experience? GAME ON. 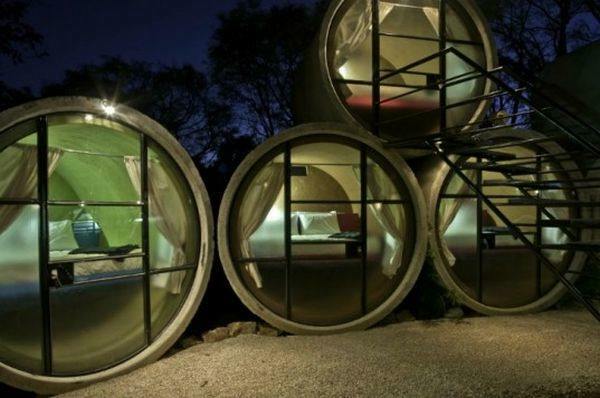 Would you stay in this recycled tube hotel? What other materials do you think could be used to create something like this?